Wellington City with airport and harbour entrance, Pencarrow Head and Baring Head behind (East Harbour Regional Park). Overlookng Te Aro, Basin Reserve and Kilbirnie. 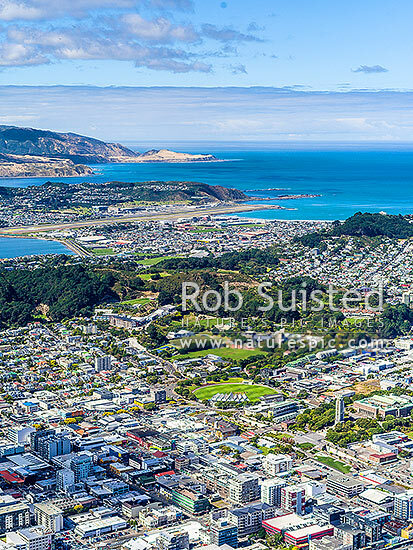 Aerial view, Wellington, Wellington City District, Wellington Region, New Zealand (NZ), stock photo.